“Life is a Cabaret” they say and that certainly was the case at RADA’s Dramatic Dining Cabaret last week. Nearly 100 of the Royal Academy of Dramatic Art’s alumni and supporters enjoyed a sumptuous supper from Tonic, with intervals of theatrical delights from the students themselves, wowing with musical moments such as “If they could see me now” and “I’m not getting married today” taking place on and off the stage in the centre of a packed house in the Jerwood Vanbrugh Theatre. The black tie event opened with a reception supported by RADA’s Champagne partner, Taittinger before dinner was served in the Jerwood Vanbrugh Theatre. Guests were then treated to performances throughout their meal from current students and graduates of RADA. 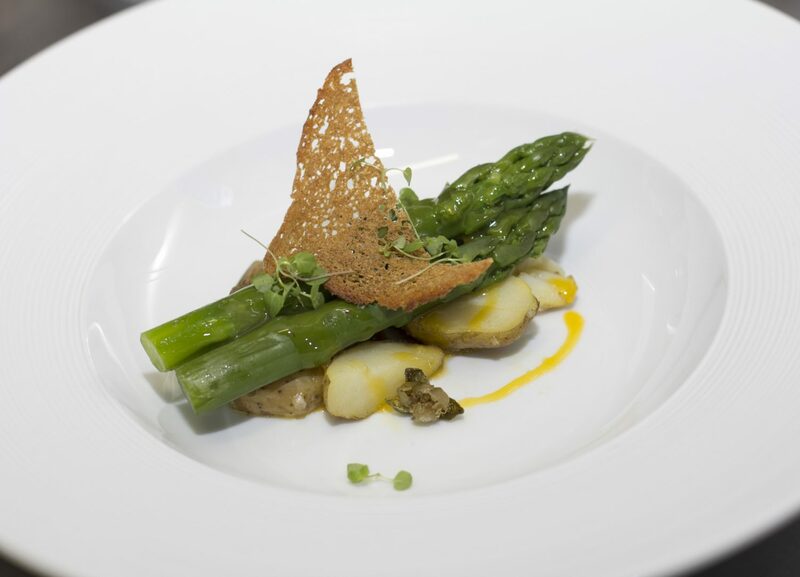 It was a very glamorous affair indeed with the guests dining on English asparagus, followed by succulent slow-cooked lamb and a grand finale of Earl Grey panna cotta with truffle sugar lumps and shortbread crumbs. The event was held to raise funds in support of RADA’s Training Excellence Fund which sustains and enhances the quality of teaching at the academy and supports the talented students regardless of their ability to pay fees or London living costs. For the 5th year in a row, Tonic offered a silent auction prize of Dramatic Dining at Home, with a four course meal for eight. This alone raised £3,300. When it came time for the curtain-call the event had raised nearly £25,000 toward RADA’s Training Excellence Fund.